Aircraft flight control systems composes of flight control surfaces, the respective cockpit controls, connecting linkages, and the essential operating mechanisms to manage an aircraft's course in flight. The 3 main flight controls are the ailerons, elevator and rudder. 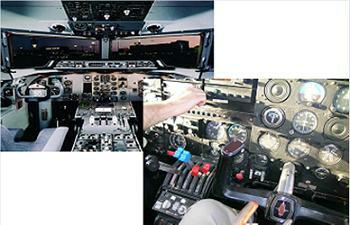 Aircraft engine controls are also considered as flight controls because they change speed. Aircraft are able to maintain flight because of an equilibrium among the 4 forces: lift, weight, thrust, and drag. All four forces—lift, thrust, drag, and weight—interacts constantly in flight and are in effect affected by things like the torque effect of the propeller, centrifugal force in turns, and other elements, but all are made subject to the pilot by means of the controls. BAE Systems has more than 5 decades of knowledge manufacturing and producing flight control and vehicle management systems for all types of aircraft –commercial, fixed- and rotary-wing, and manned and unmanned. BAE Systems’ line of expertise includes development of fly-by wire systems for all types of aircraft. They also have expertise, knowledge, and facilities needed to develop and certify complete control systems for commercial aircraft. Additionally they have Organic depot-level repair capability and in-house manufacturing and software development. BAE Systems’ top-performance products can be seen on every major platform, including Airbus 320, and Boeing 777. For specific list of Airbus 320 and Boeing 777 flight controls that we cater, please click on the link below.